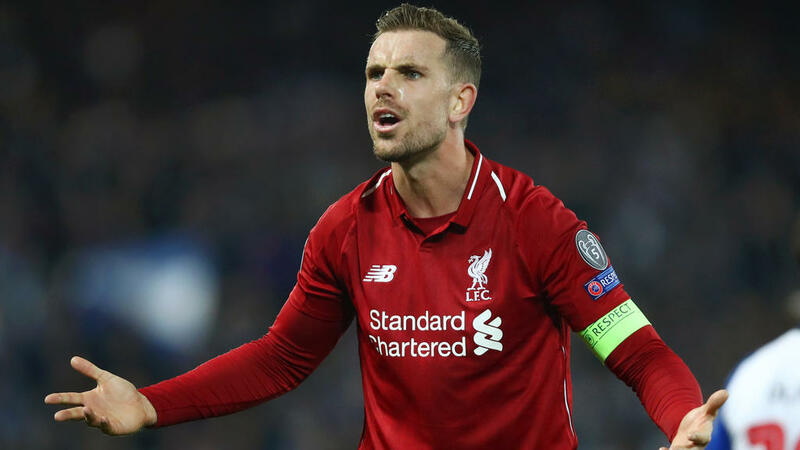 Liverpool captain Jordan Henderson hailed as "really big" the 2-0 victory over Chelsea on Sunday that sent them back top of the Premier League in their gripping battle with Manchester City. The Reds' dreams of their first Premier League crown are still alive after the win, which puts them back two points ahead of City, who have a game in hand and had briefly gone top earlier on Sunday thanks to a 3-1 win over Crystal Palace. However, second-half goals from Sadio Mane -- created by Henderson's pinpoint cross -- and Mohamed Salah wrapped up three points for Liverpool. "It's really big," Henderson told Sky Sports. "It's another big game we have won. "We have to concentrate on ourselves, work hard on training pitch and the focus is on the next game. "We are enjoying it and that's the main thing." "There were a couple of things we needed to work on and create space for one another," said the England international. "There was a period when we blew them away a little bit but they had a couple of chances as well so we need to be careful." Henderson's team-mate Virgil van Dijk said he preferred to focus on Wednesday's Champions League quarter-final second leg at Porto -- Liverpool lead 2-0 -- than what the victory meant with regard to the title race. "We just focus on our games, we have a massive game next in the Champions League then to Cardiff which will be tough as well," said the Dutch international. "So we will see. I'm always excited, I'm always happy when my team wins, but it can change, for now we just need to enjoy it and we have a big game on Wednesday again."